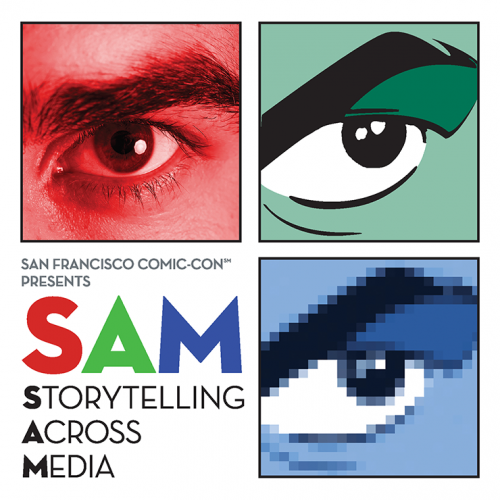 Comics fans in the San Francisco Bay Area check out the free full day event SAM: STORYTELLING ACROSS MEDIA taking place on Saturday, November 5 at the San Francisco Marriott. Saturday, Nov. 5 – 5:00–5:45 pm Storytelling and Queer Identity—Moderator Maia Kobabe (The Thief’s Tale) and a panel of talented queer storytellers discuss their craft and how they bring life to their characters on the comics page. Storytelling plays a role in shaping both the identity of the storyteller and the characters on the page. This panel explores how queer cartoonists navigate this space. While free and open to the public, space is limited and attendees are asked to register online prior to the event.